Expo Veneto: THE "Durona" of CHIAMPO, 54th PROVINCIAL EXHIBITION OF CHERRIES. Event > THE "Durona" of CHIAMPO, 54th PROVINCIAL EXHIBITION OF CHERRIES. THE "DURONA" OF CHIAMPO, 54TH PROVINCIAL EXHIBITION OF CHERRIES. Chiampo traditionally hosts the Provincial Exhibition of cherries, now in its 54th edition. A group of experts will judge the several varieties of cherries of Vicenza which vie for the title of "best" for the look, texture and taste, together with the "Durona" of Chiampo. Definitely are the curiosity and the greed that attracts thousands of people to the Provincial Exhibition of cherries of Chiampo. A careful jury of experts proclaimed the winners of the contest, choosing between different varieties exhibited and in particular the "Durona" known as "the Red Gold Chiampo". Manufacturers present cherries, the fruit of their production and passion. They arrange cherries in ordered lines, carefully selected and packed in boxes. The traditional show which is held every year on the third week of June is the celebration of this product, typical of these hills. It has a limited production, but it fits well in the market for its quality and because it’s suitable for the working in the canneries. The appointment is for the Valley a useful opportunity to rediscover the traditions, culture and values of the local farming community. For this reason, for some years, this event welcomes the exposure of local products and handicrafts. Shows and events follow each other in the days before the event, celebrating this succulent and crisp fruit, numbered in the typical domestic products lists. The "Durona" of Chiampo, several times awarded among the best cherry in Italy, is proposed in the dishes of Restaurateurs and Confectioners of Chiampo, during all the month of June. On this occasion, they try new and greedy recipes. The event takes place in the heart of the town and is accessible by car and public transport. For cyclists, also along interesting sections of bike paths that connect the nearby valleys and the city of Vicenza and Verona. 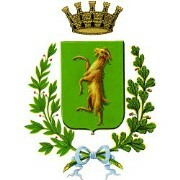 The town of "Chiampo" is a Public administration, near Vicenza. Chiampo boasts a diverse and charming landscape. The valley opens up, rising along the banks of the eponymous river “Campus” in fact means the plain or cultivated field. Some scholars believe it was derived from Klam-po i.e. little Po or a place hidden among thicket and small valleys. Its ups and downs through history have witnessed its rule by Venice until the abdication of the Doge of Venice on May 12, 1797, a date commemorated with the “Tree of Liberty”. It then fell under Austrian rule which continued for over 8 years. In 1806, Napoleon aggregated Veneto to the new Kingdom of Italy which lasted until the 1813 defeat in Leipzig when it was returned to the Austrians and included in the Lombardy-Veneto kingdom. An important movement for Italian unification that took place thanks to the patriots Paolo Mistrorigo and Giacomo Zanella, allowed for annexation to the national government. Starting from that point, the marble, leather and silk industries developed, which found new impetus at the end of World War II. Land was used for industrial purposes here and in fact, entrepreneurship involving leather tanning and then marble started here, achieving and still maintaining international ladership today.